The Euro to Pound Sterling (EUR/GBP) exchange rate outlook has plunged in recent weeks as market hopes that a hard Brexit can be avoided have risen significantly despite broad remaining Brexit uncertainties. Sterling (GBP) has been surging since UK Prime Minister Theresa May’s Brexit deal failed to pass in mid-January. Last week, EUR/GBP continued to plummet and fell from the level of 0.8827 to 0.8636. On Friday, EUR/GBP briefly touched on a low of 0.8619. This was the worst EUR/GBP level for over a year – since May 2017. At the time of writing on Monday, EUR/GBP edged higher following last week’s tumble, but the pair’s potential for gains was limited. 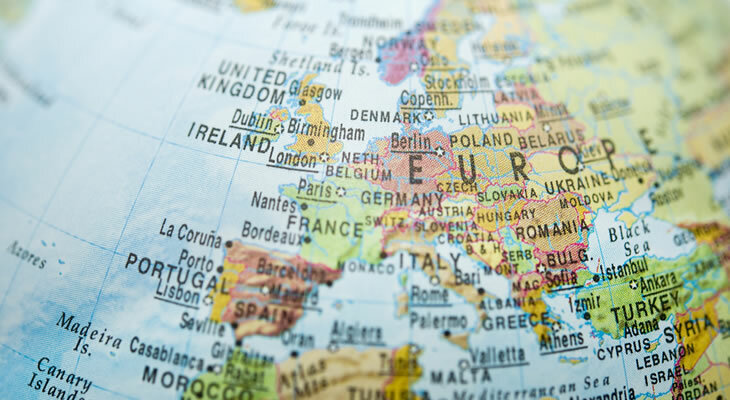 Investors don’t have much reason to buy the Euro (EUR) recently, as Eurozone data continued to fall short of expectations and worsen concerns about the Eurozone’s economic outlook. This is despite a lack of certainty regarding how the Brexit process will unfold, and jitters ahead of this week’s major Brexit events. Following two weeks of solid losses versus the Pound (GBP), the Euro has steadied slightly this morning. Investors are buying the shared currency as they sell the British currency back from last week’s significant highs. However, the Euro’s recovery has been highly limited due to a lack of notable support for the shared currency. Last week saw multiple disappointing Eurozone ecostats published, and analysts are concerned the slower Eurozone data will not let up any time soon. The European Central Bank (ECB) also held its January policy decision last week, and ECB President Mario Draghi ramped up concerns about the Eurozone’s slowing economy. He said the risks to the Eurozone economy had moved to the downside. However, expectations for Eurozone economic weakness have largely been priced in to the Euro already, so further losses may be limited too. For now, Euro investors are anticipating further key data due for publication this week. While the Pound has advanced to near its best levels in quite some time against major currencies like the Euro, the British currency lacks the drive to climb much higher. Hopes that a worst-case scenario No-deal Brexit can be avoided have surged in recent weeks, but such fears still remain and this is keeping a lid on the Pound’s potential for further gains. This week, as Tuesday’s Brexit debate in UK Parliament approaches, UK businesses are ramping up warnings about the potential threat that a No-deal Brexit could pose for businesses and the UK economy. As these concerns persisted, the Pound was sold even versus a relatively unappealing Euro. The Euro to Pound (EUR/GBP) exchange rate’s movement today is likely to be steady, as investors anticipate major Eurozone ecostats and potential Brexit developments throughout the week. France’s January consumer confidence survey will be published tomorrow morning, but Tuesday’s biggest event will be the UK Parliament debate on Brexit. There will be another vote on UK Prime Minister Theresa May’s Brexit withdrawal deal, which is not expected to pass. What may be hugely significant is the potential for MPs to vote for other amendments and legislation during the debate. For example, if there is a favourable vote for a formal delay to the Brexit date, or even stronger than expected Parliament support for a possible second Brexit referendum of some kind, the Pound could see even stronger demand. The Brexit debate will be this week’s most pivotal event for Pound investors, but the Euro to Pound (EUR/GBP) exchange rate outlook could also be influenced by Eurozone confidence stats on Wednesday, Eurozone growth stats on Thursday, or Friday’s inflation figures.